1. 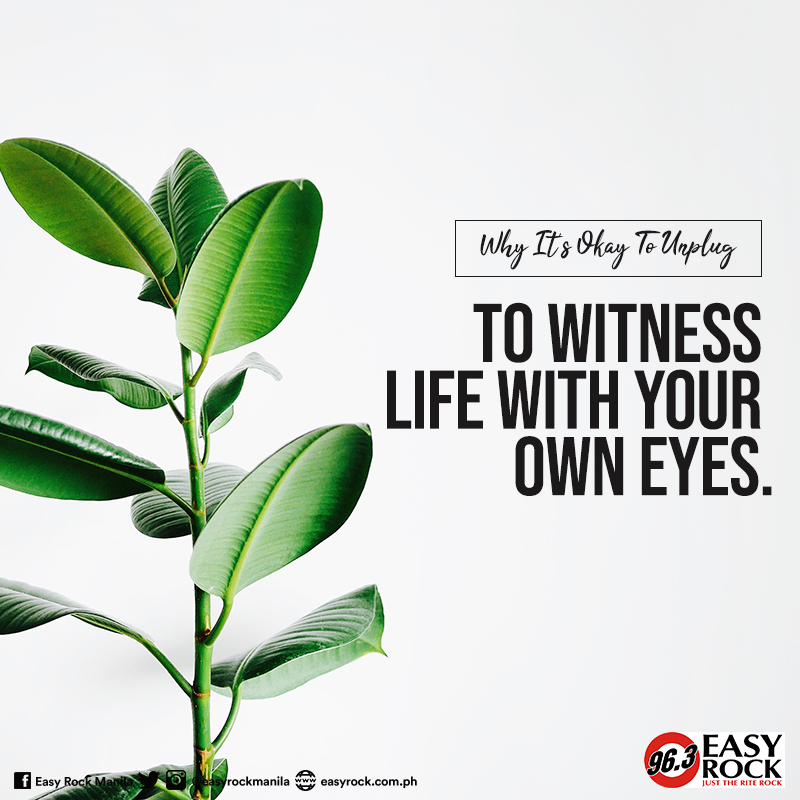 To witness life with your own eyes – internet has everything in it. You can see places and wonders by just searching them on Google. But how about looking at wonders with your own eyes? You can see the sunset on your screen, but how about just looking how it slowly goes down and how the moon takes place for transition? Or maybe catching a bird fly around? Or the butterflies flying from one flower to another? 2. 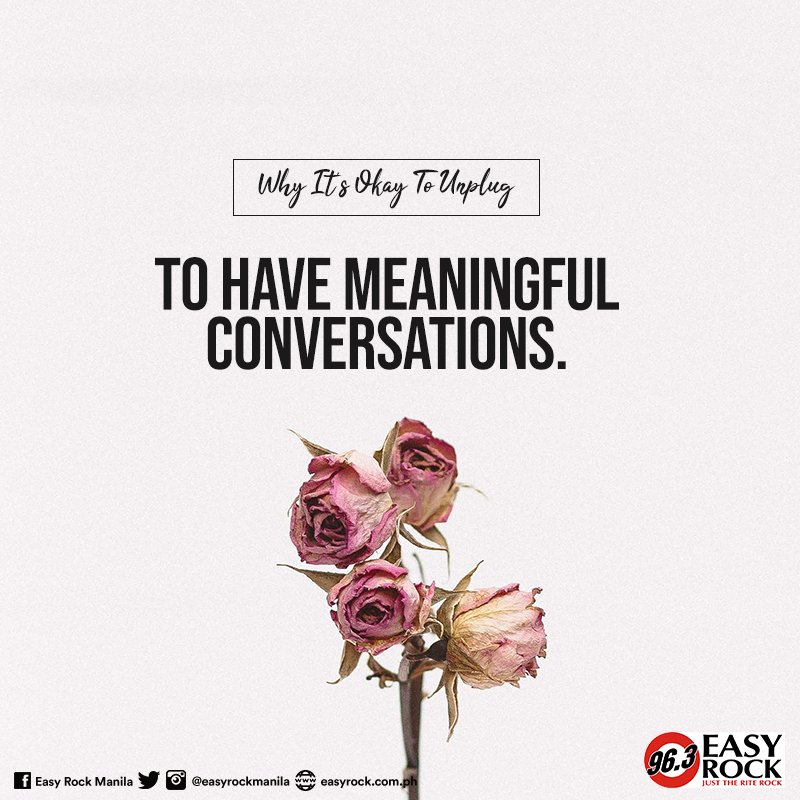 To have meaningful conversations – the internet has given us a lot of ways to communicate. But when was the last time you talked to someone about dreams and passion eye-to-eye? 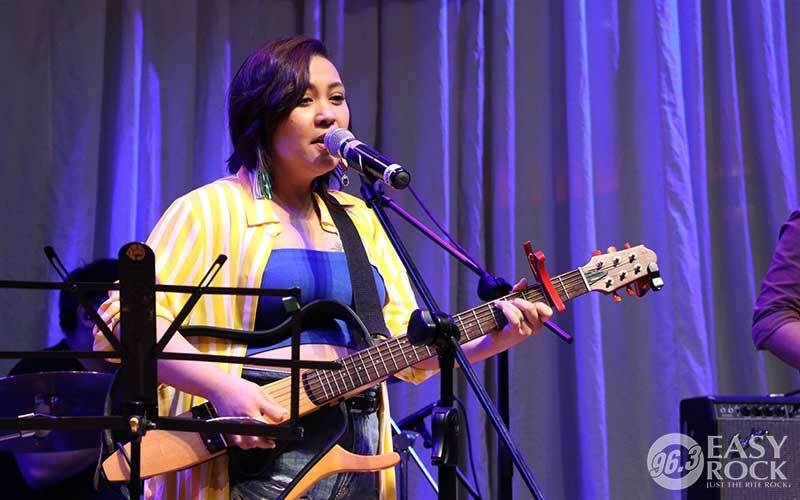 Or the last time you talked about the things you love and heard them say it sweetly? When was the last time you talked too much about life without making a pause to look at your phone? It’s nice to have conversations from the heart once in a while. 3. 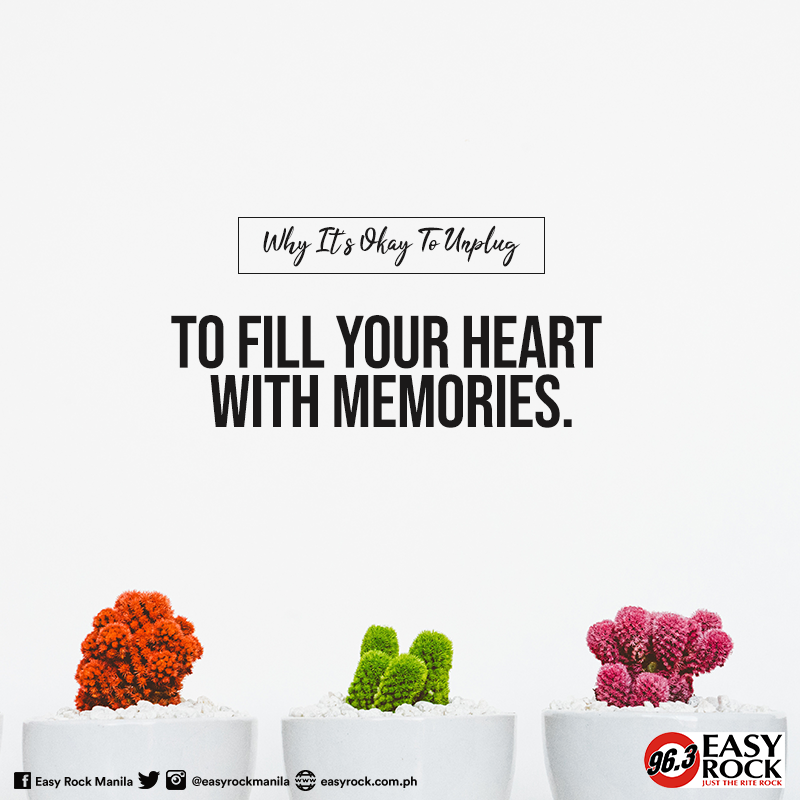 To fill your heart with memories – as much as we want to store all the memories we have through our camera rolls, maybe it’s also nice to fill our hearts with genuine memories. It’s nice to remember how your heart felt about some stuff instead of just looking at them through your Timehop or Memories on Facebook. 4. 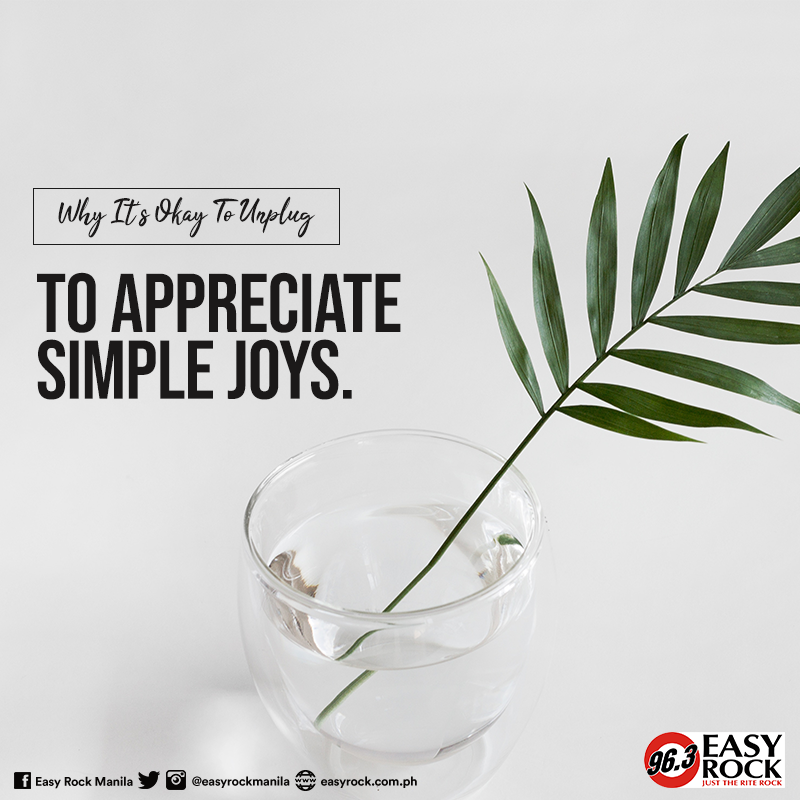 Appreciate simple joys – may it be a coffee your mom made for you, or your favorite food was cooked, or maybe someone changed your bed sheets, it’s nice to just experience them with your own skin and let it get to your heart. Sometimes we forget that the usual things happening to us are the ones that can really bring joy to our hearts and souls. 5. 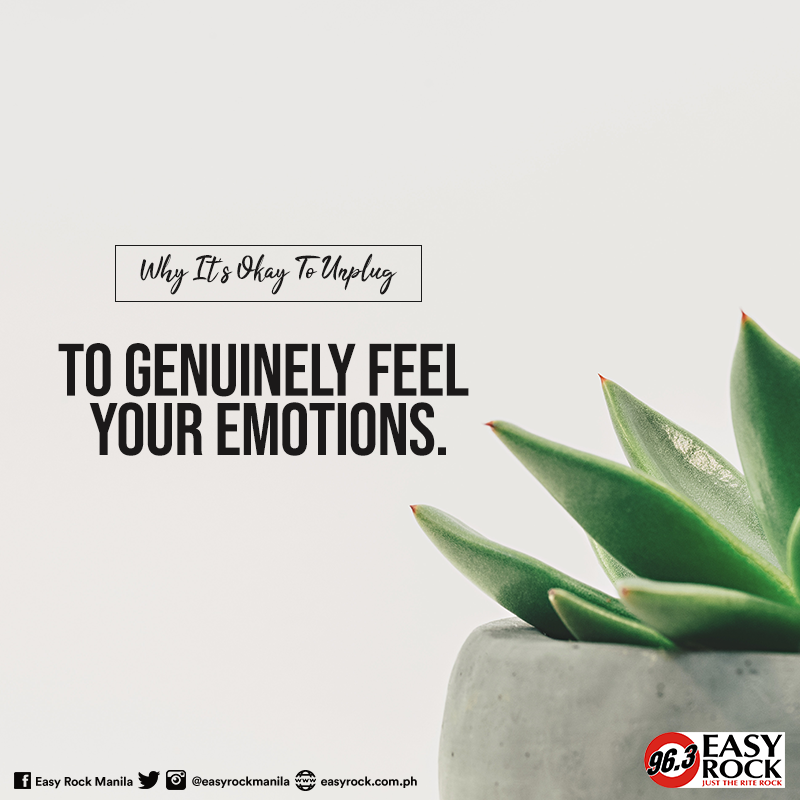 To genuinely feel your emotions – tummy aches because of too much laughter, tears of joy, getting excited, getting amazed, or whatever you feel. Maybe it’s nice to feel them with your heart. Maybe it’s nice to just let our emotions get into you instead of trying to take a photo of that moment and post about what you feel. Though it’s not bad, but maybe before you do you have to let it consume you because you don’t do it every day. 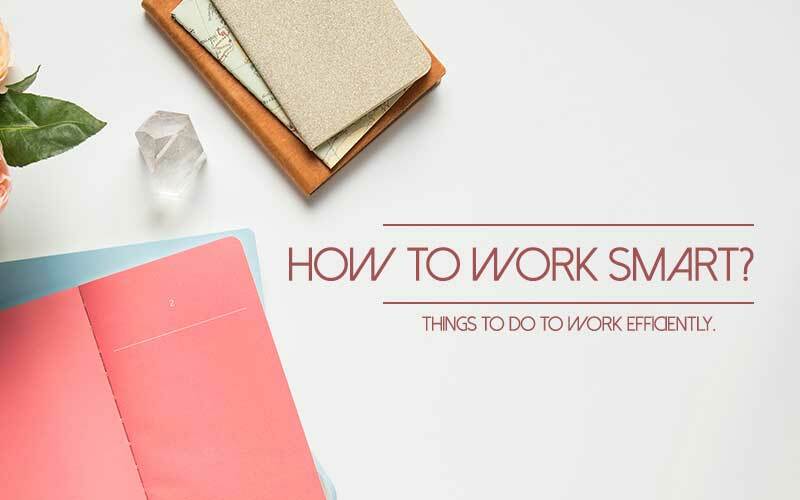 6.To replenish – you won’t be unplugged for a long time. 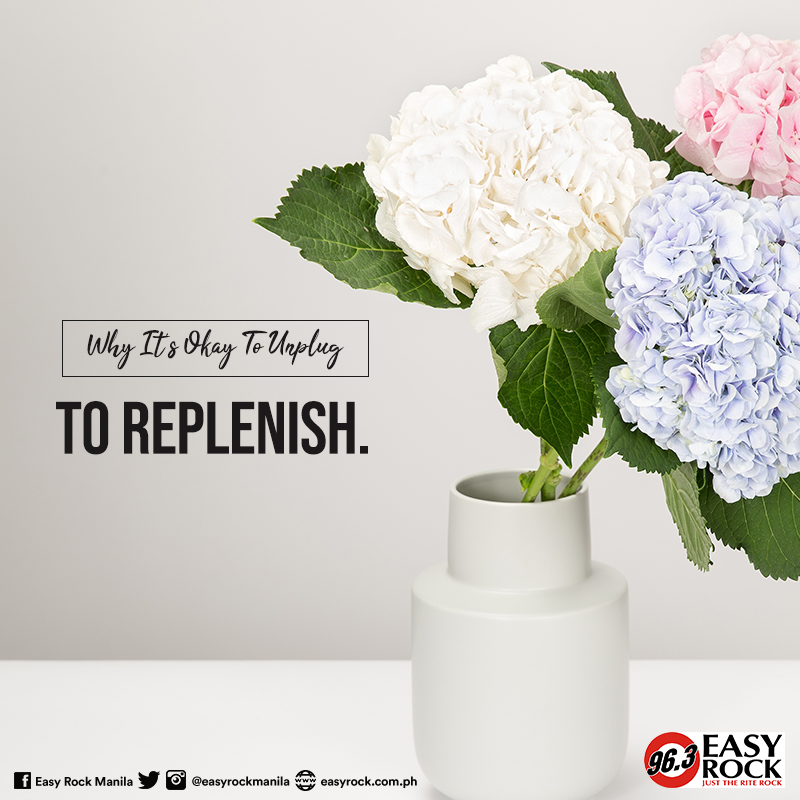 It’s just over the weekend so that you can replenish your all the energy you lost for all the things that you have to do. So that when you get back you have stories with you. Sometimes you need to miss your daily routines a little bit so that when you get back, you’re ready to get your hands dirty again. To unplug from social media is not only for you to plug-in to life. It’s also a way for you to pause for a moment from your regular routine and from wherever you’re putting your energy on. Easy Rock After-work Mall Tour at Market! Market! 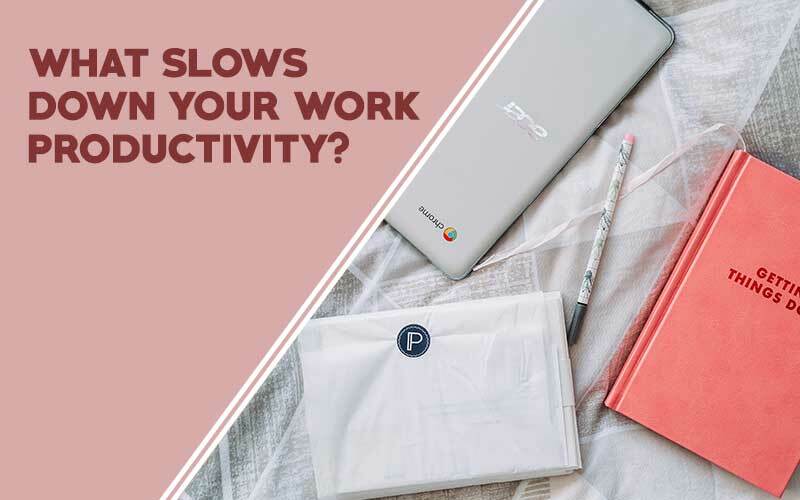 What slows down your productivity?